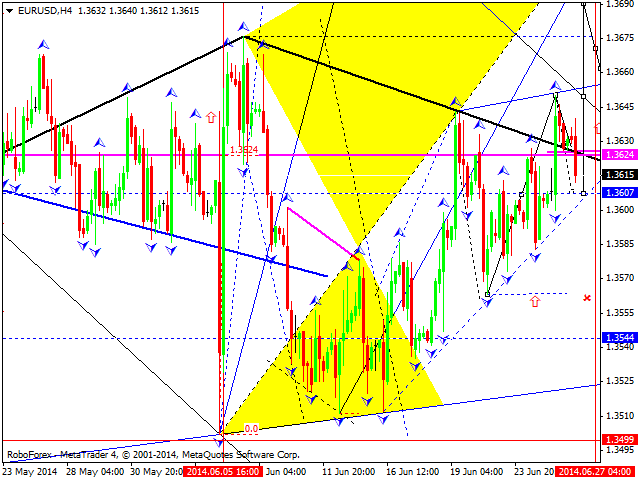 EURUSD had probably completed another ascending wave. For today I will expect development of descending structure with 1.3600 as target. After that, price can possible break 1.3650 and consolidate after that. 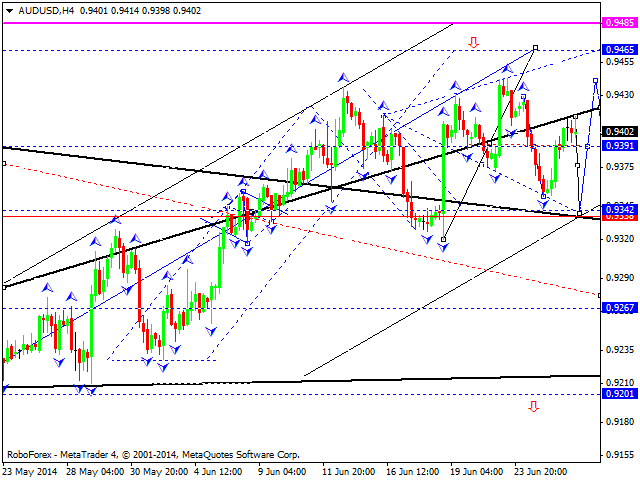 Also, I will anticipate that ascending wave will be 3rd with target of 1.3800. 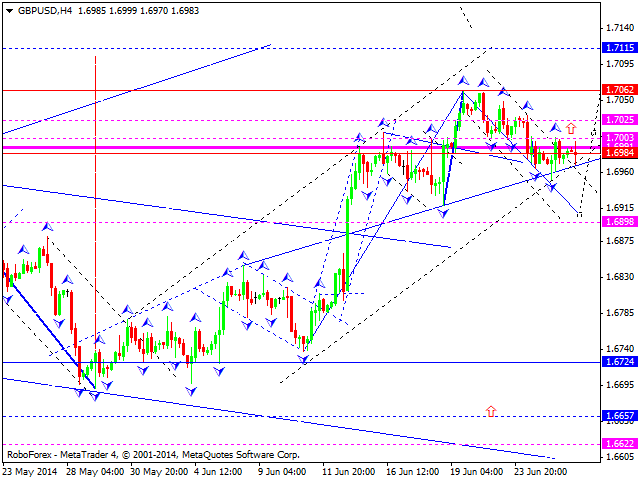 GBPUSD is possibly continuing to consolidate around 1.6990. I will expect that growth can be continued with 1.7115 as a target. As an alternative, I will not exclude that market can attempt to go down with hitting 1.6990, and after that will grow and visit projected target. USDCHF had renewed recent low from descending impulse. Therefore, market can be preparing for continuation of downtrend. For today, recovery to 0.8940 is possible. 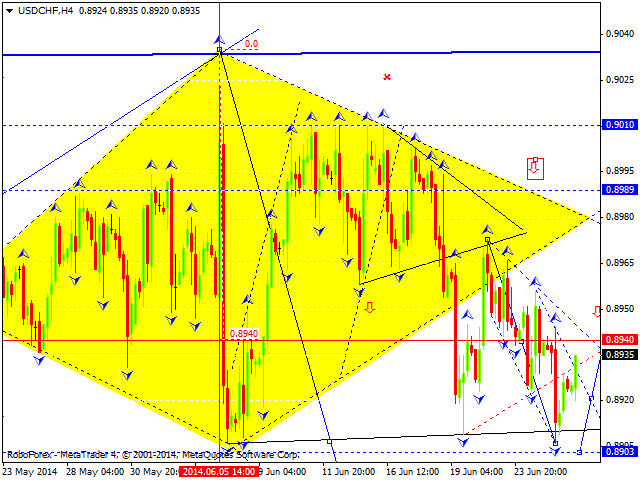 After that I will expect another bearish structure with target of 0.8900 and consolidation. Target for this structure is considered to be at 0.8780. USDJPY is continuing to develop within descending impulse. For today I expect that consolidation around 101.70 can be possible with further decline to 101.00. After that test of 101.70 from below is possible. In case everything of described above happens, finally market can go to 100.50 or lower. AUDUSD continues to move within consolidation. As basic scenario, I will watch for possible growth to 0.9465. As an alternative, market can go down to 0.9345. After that – growth again with hitting projected target. Russian rouble is trading near recent lows. I will expect that this consolidation is going to be continued with further reversal and 4th ascending wave. Target for this growth will be around 35.00. 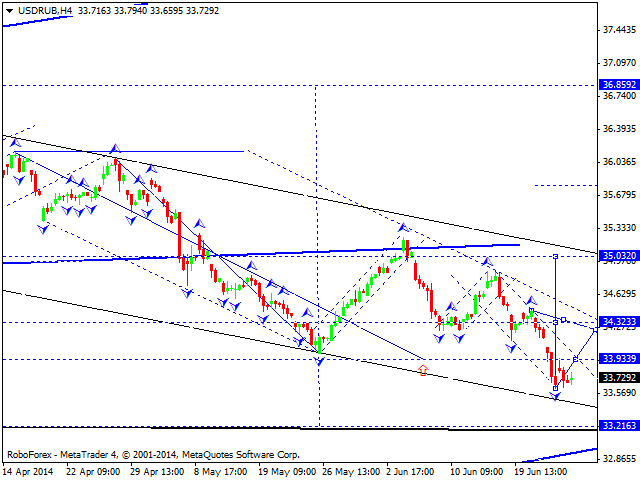 After that I will expect that market can decline with target of 33.20 in the form of 5th wave. 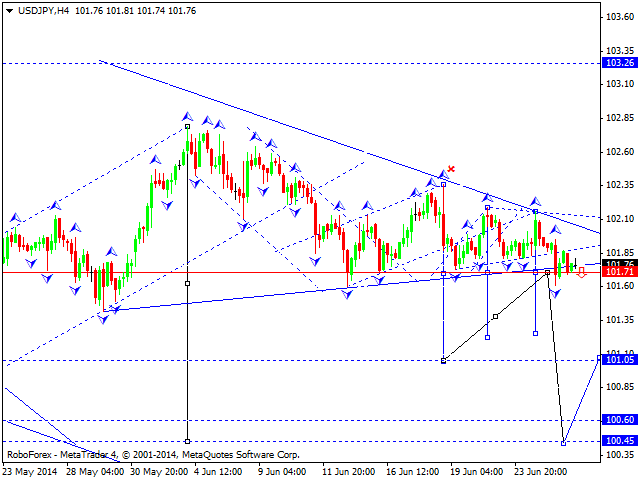 Gold is consolidating on the top in the shape of triangle. For today, I will expect probability of breakout of lower side of this triangle and breakout of ascending channel. In case it happens, reversal pattern «Head and shoulders» will appear. 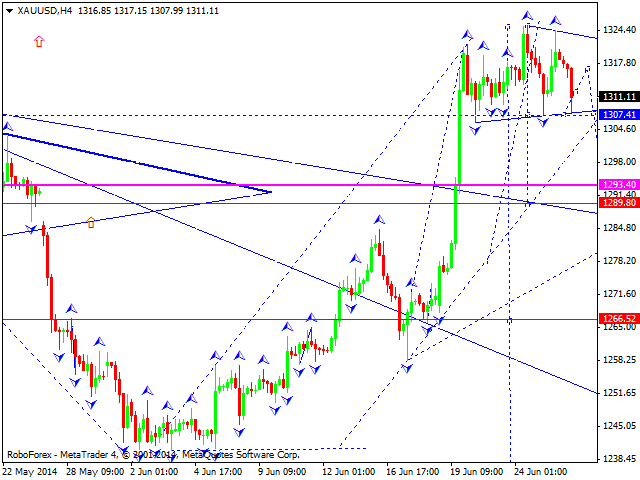 It may lead to another descending wave with target of 1208 or lower.